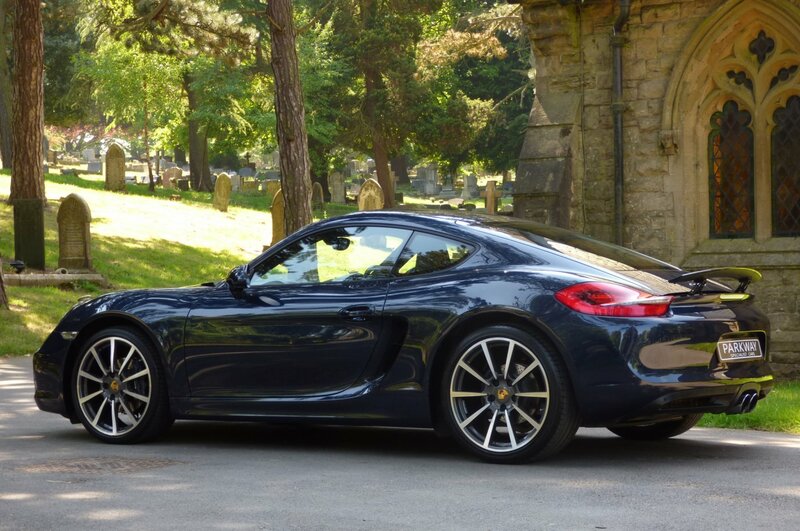 Ever Since 2006 Porsche Has Given Us The Cayman Model As Part Of Their Company Line Up, With The Cayman Being A Coupe Derivative Of The Successful Porsche Boxster. 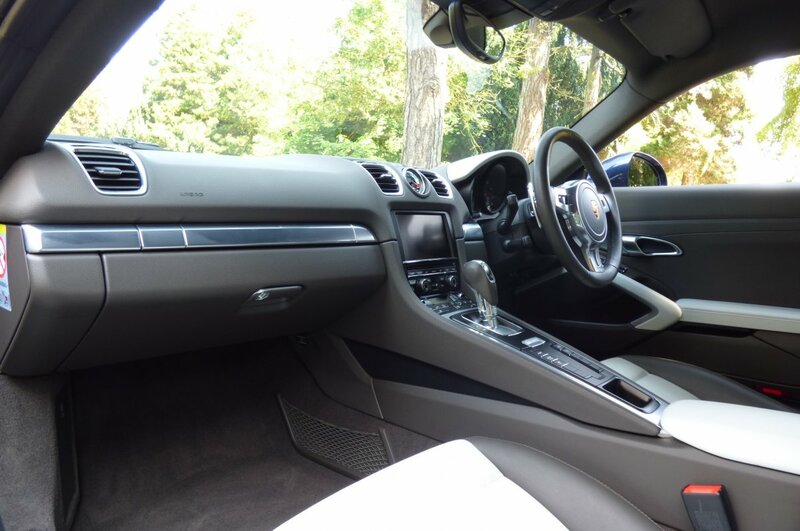 This Design Creation Was The Brain Child Of Chief Designer Pinky Lai, With The Name Cayman Being An Alternative Spelling Of Caiman, A Reptile In The Same Family As The Alligator And When Porsche Released This Ultra New Model, They Even Adopted Four Caimans At Stuttgart's Wilhelma Zoo, As Part Of Their Marketing Strategy. 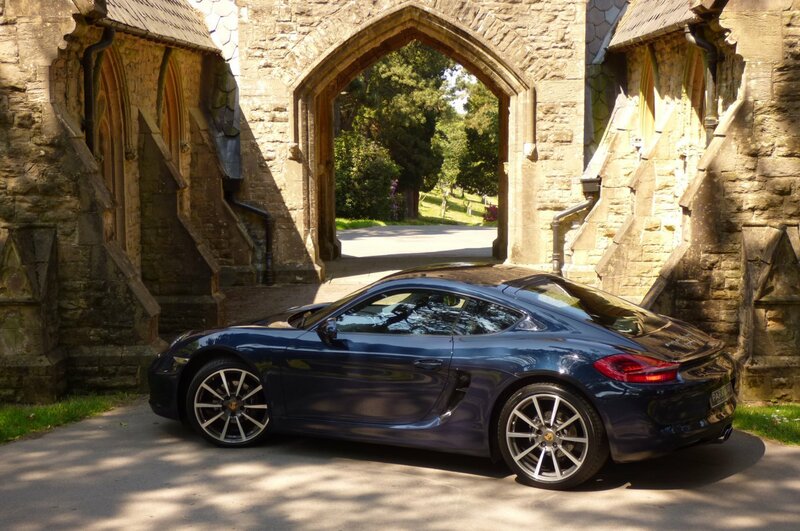 The Cayman Was Always Viewed As Being The Ideal Stepping Stone From The Porsche Boxster To The Porsche 911, With Many Clients New And Old Seeing This Brand New Offering As Being An Excellent Alternative To Either One, As This Small Two Seat Performance Car, Gave Capable Road Going Handling, Staggeringly Beautiful Exterior Detail And A Varied Mixture Of Engine Choices To Please Any Driver. 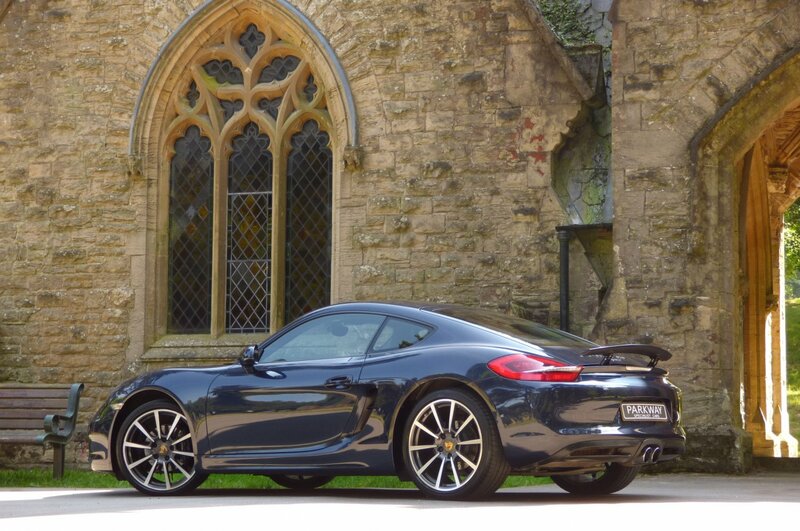 In The March Of 2012 At The Geneva Motor Show, Porsche Needed To Heavily Update This Now Successful Model And With This The Third Generation 981 Was Introduced To Eager Buyers From Around The World And The Global Motoring Press, With This Fresh Looking Cayman Being Presented With A New Body Design, A Longer Wheelbase, A Wider Front Track And A Redesigned Interior That Matched The Firm's Contemporary 911 Models. 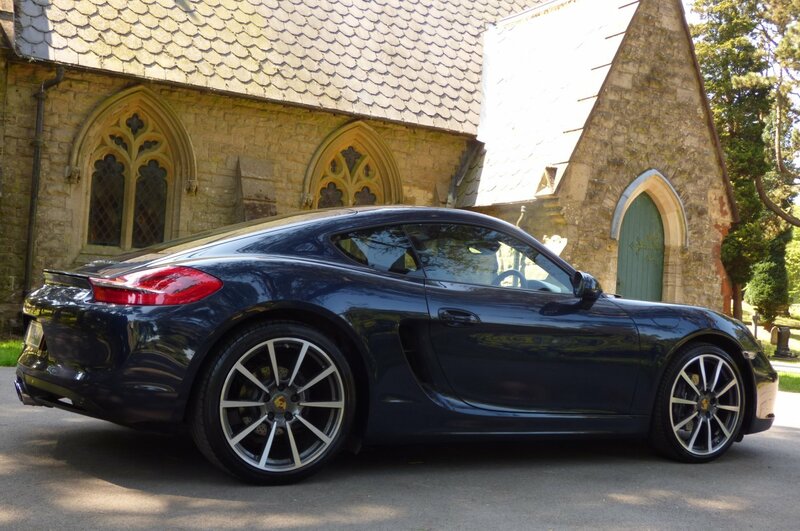 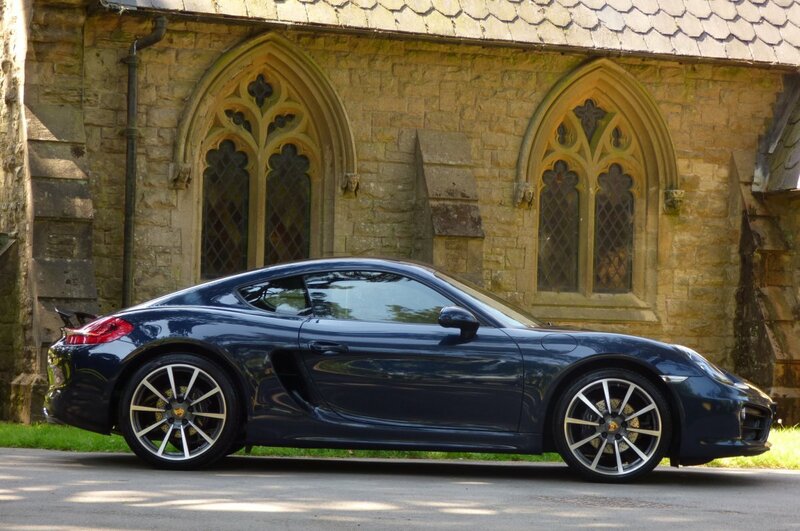 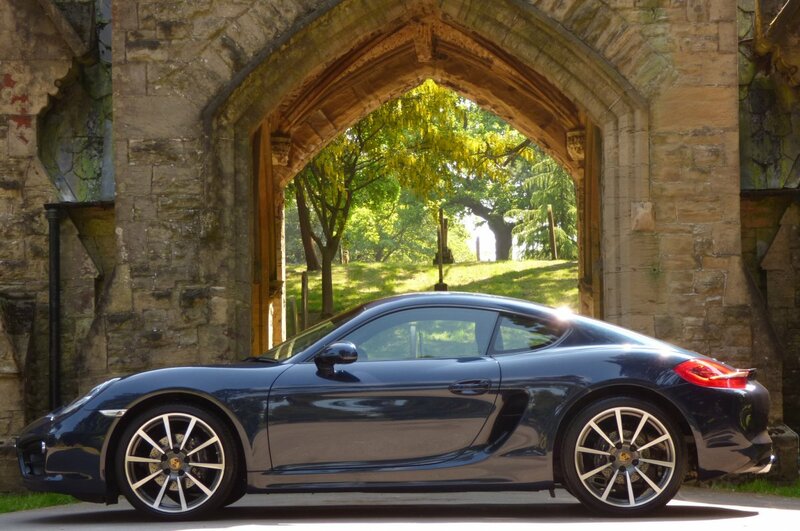 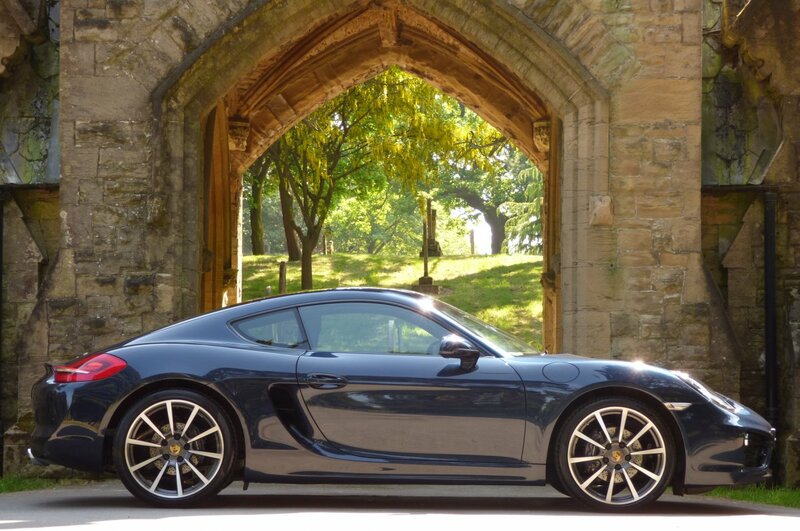 As Part Of The Company`s Line Up, The Fabulous Cayman 2.7 Was Offered, With This Stunning Two Seat Performance Car Generating A More Than Healthy 275BHP With A Torque Value Of 214, Which Was More Than Capable Of Accelerating From 0-62 MPH In Just 5.6 Seconds, Would Further Climb To A Respectable 164 MPH And Was All Perfectly Controlled By The Stunning Seven Speed Dual Clutch PDK Transmission. 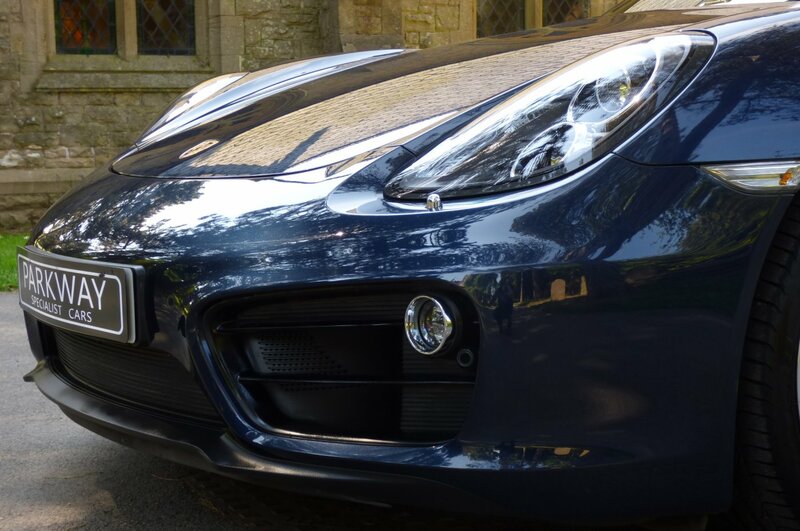 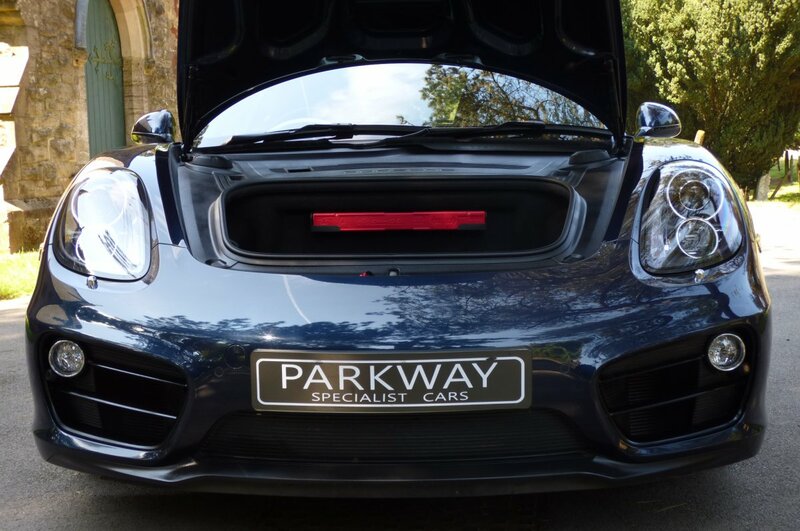 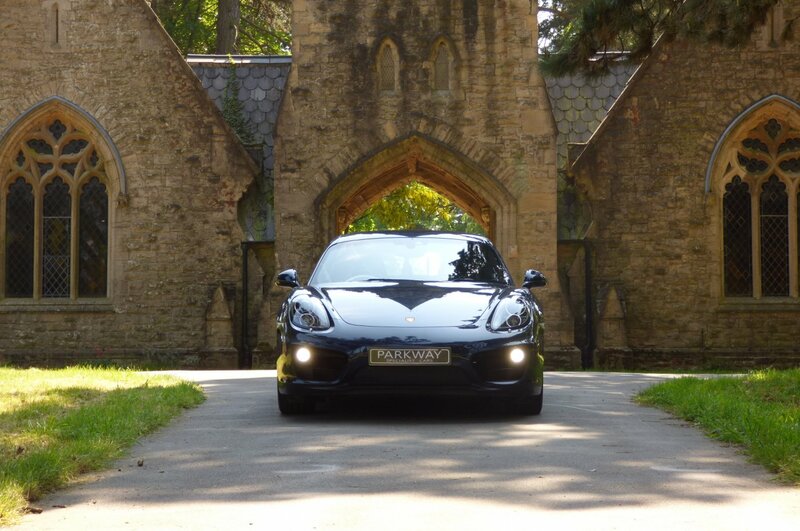 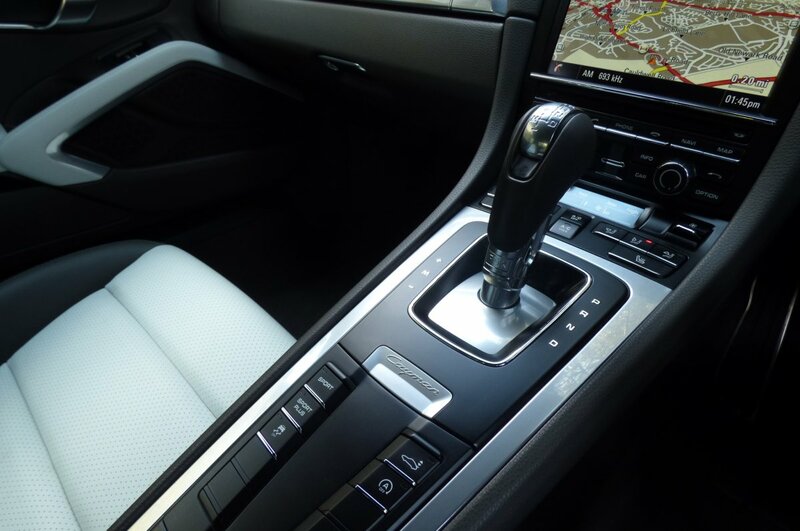 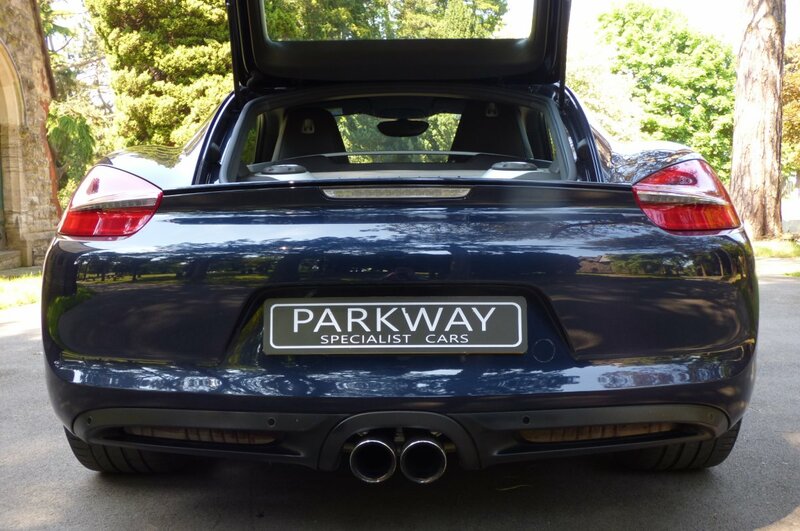 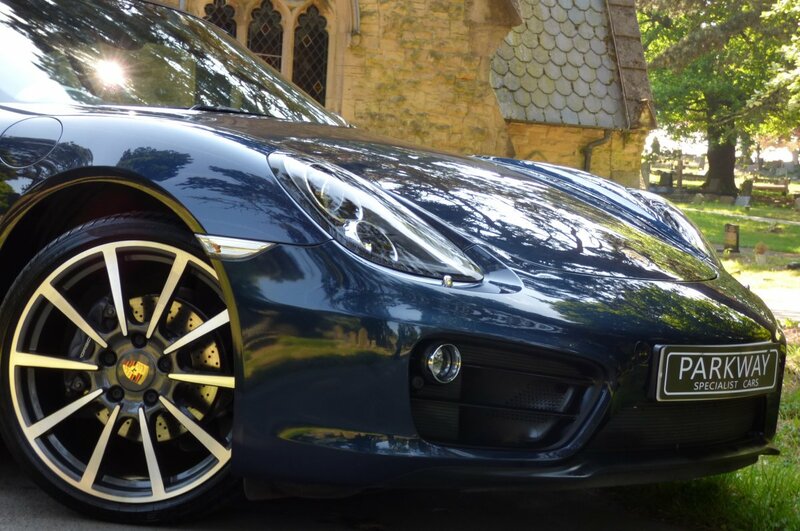 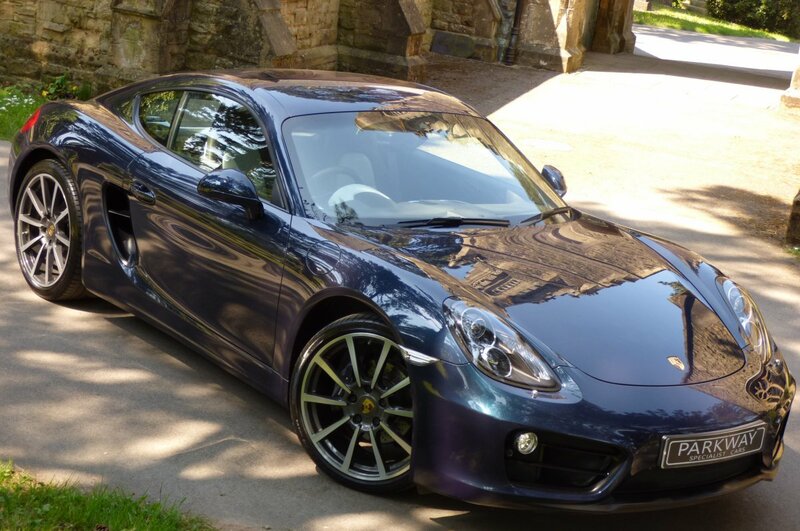 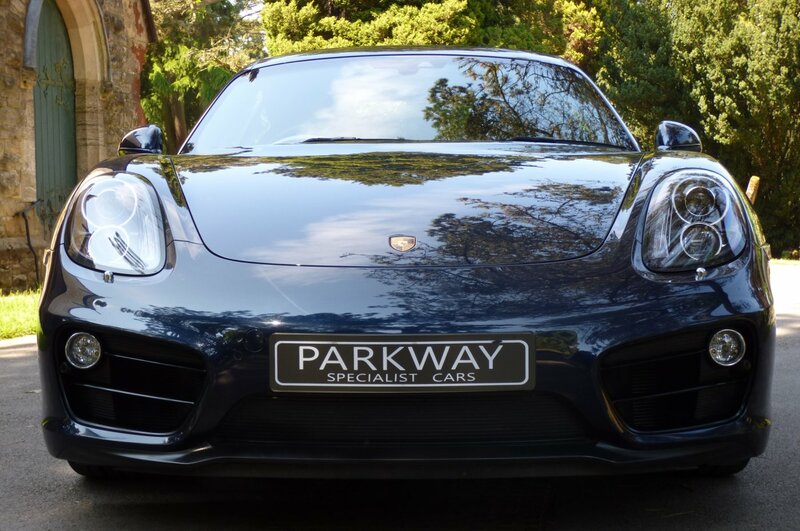 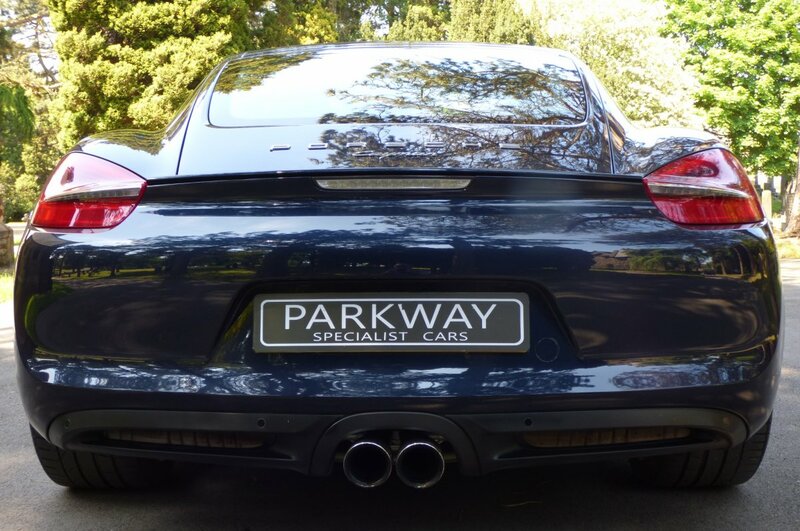 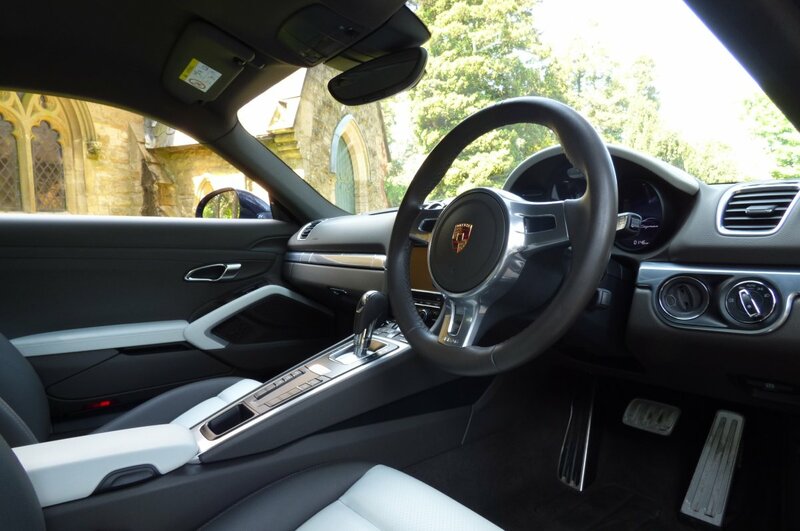 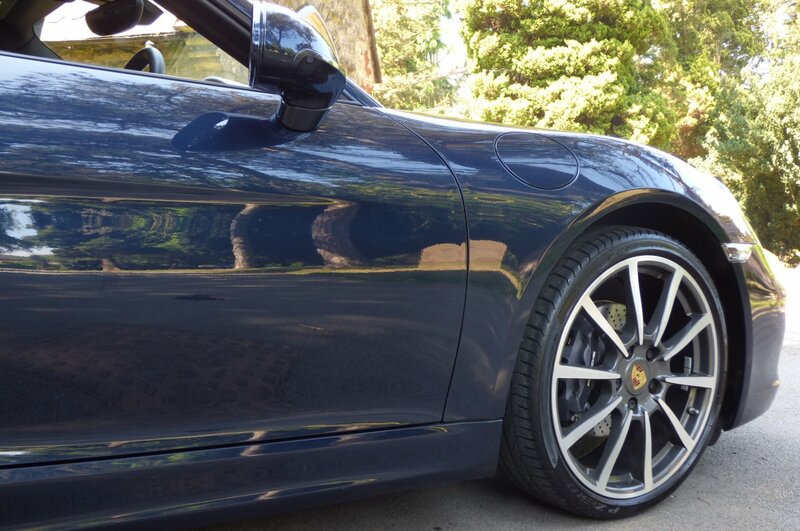 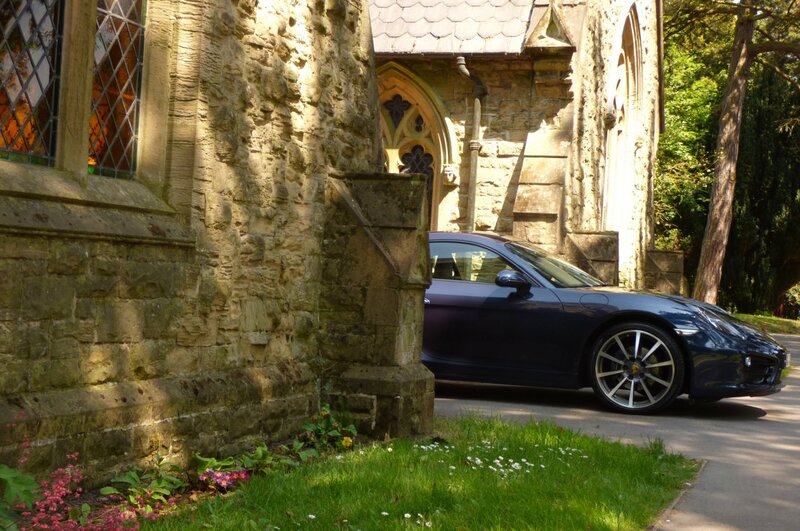 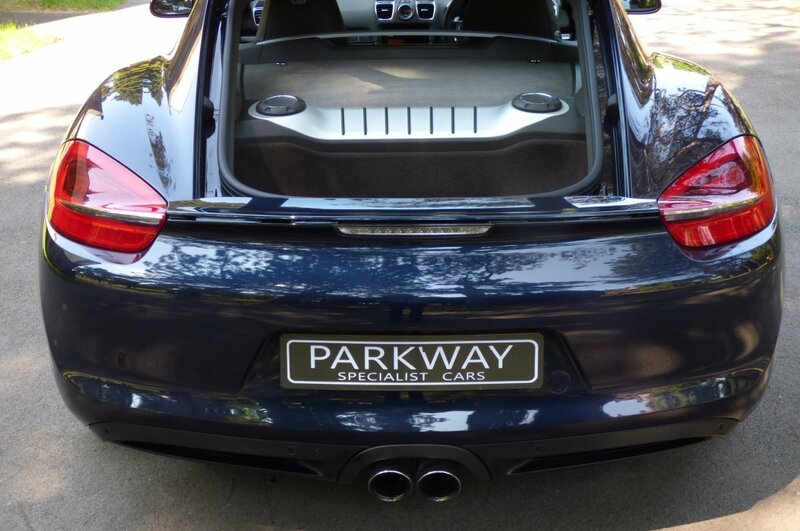 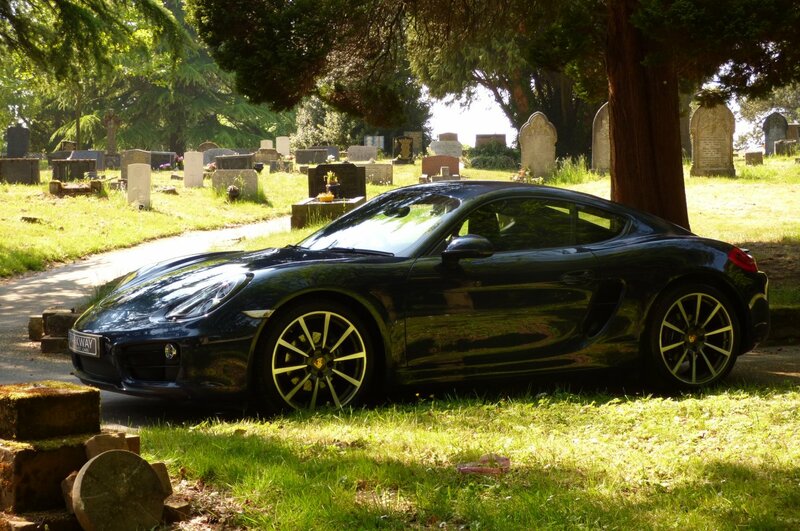 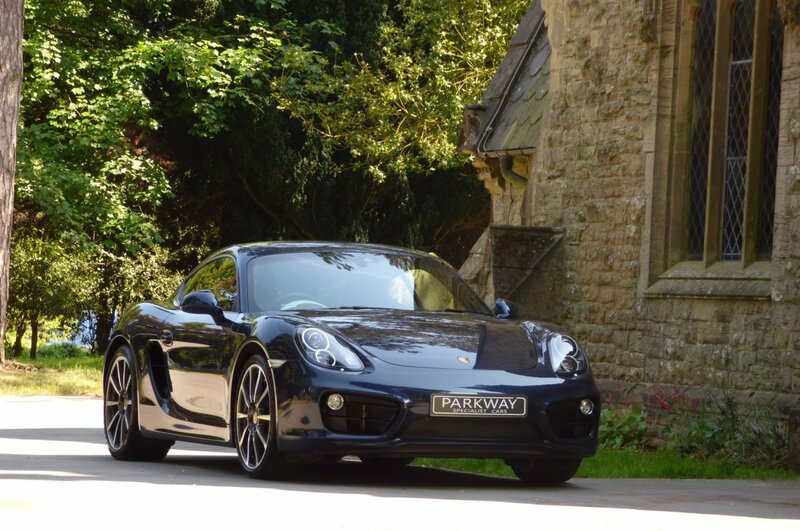 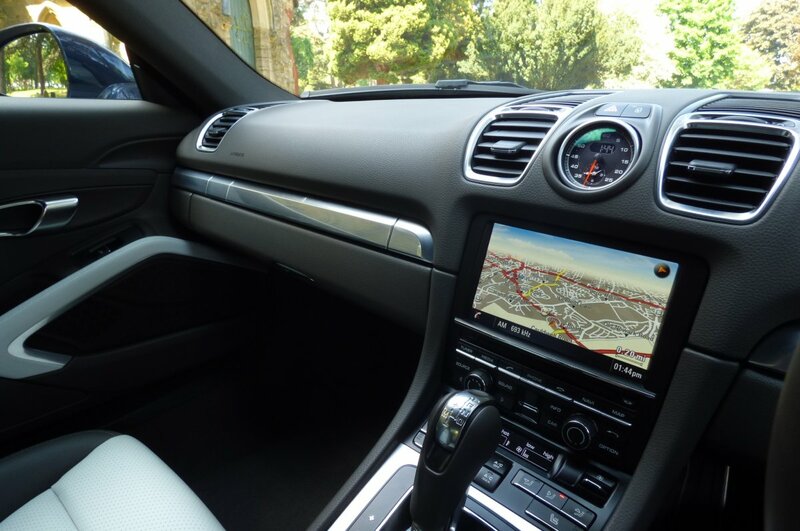 This Lovely Vehicle Was First Supplied By Porsche Centre Tewkesbury In The August Of 2015 And Since This Date Of First Registration Has Only Had The One Private Keeper From New, Which In The World Of Porsche Cars, Is Viewed As Being Now Lovely To Find. 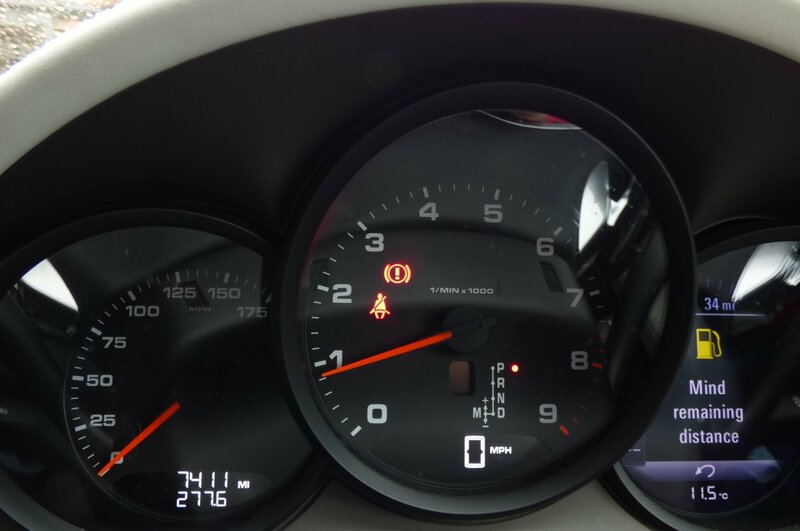 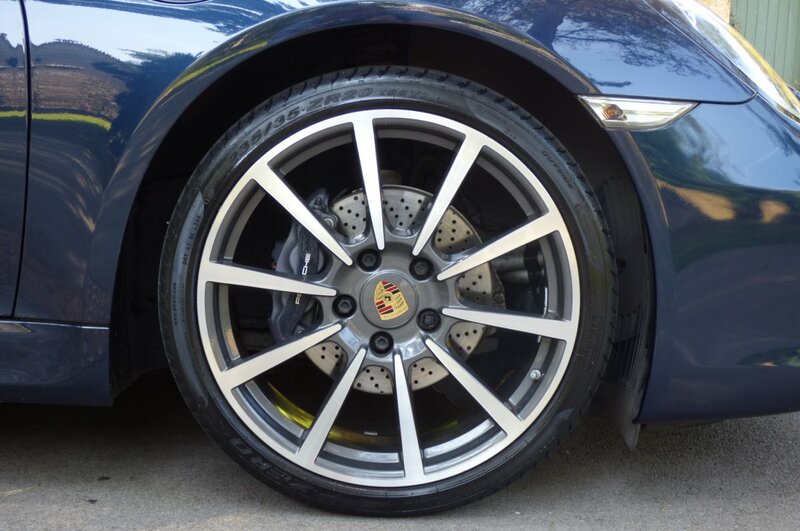 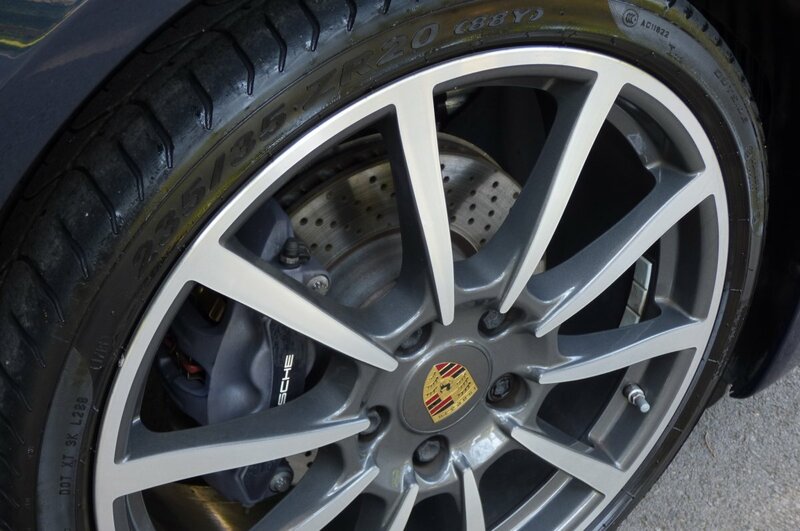 Over The Last Three Years Chassis Number GK160194 Has Only Had A Mere 7411 Miles Applied, However Regardless Of This Incredible Current Mileage Reading The Car Has Already Had The First Service Completed By Porsche Centre Tewkesbury At 5141 Miles In The June Of 2017, Which Also Included A Full Brake Fluid Change. 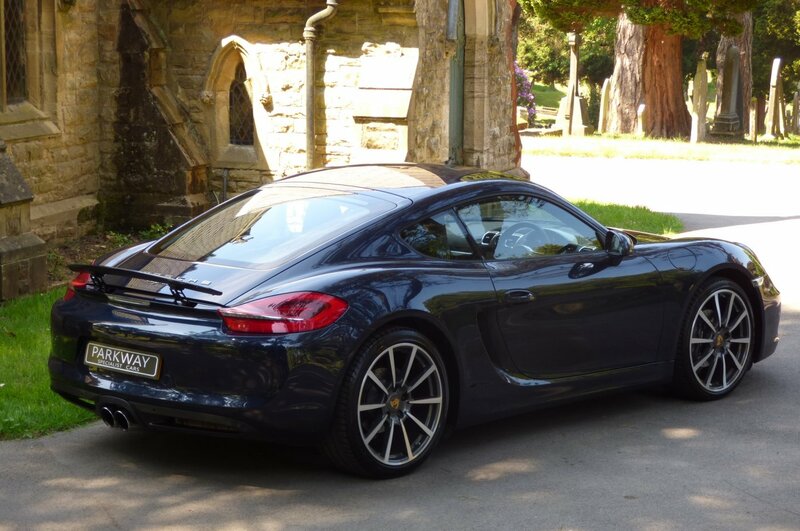 Once Sold This Special Example Will Be Presented To The Next Lucky Keeper, With The Entire Booklet Pack Set, A Fully Cleared Hpi Certificate, A Fully Functional Key Set And An Original Factory Build Card Listing All The High End Options Opted For From New, Which Is All In Place For That Next Person To Keep And Cherish During Their Own Time Of Ownership. 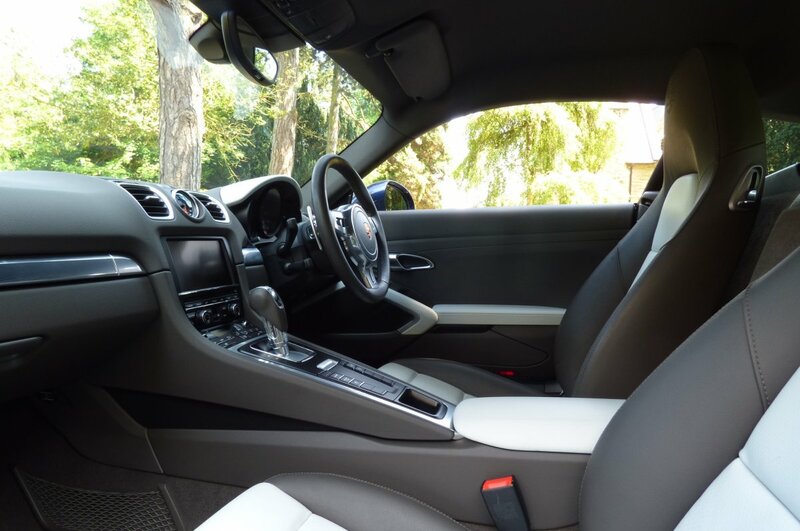 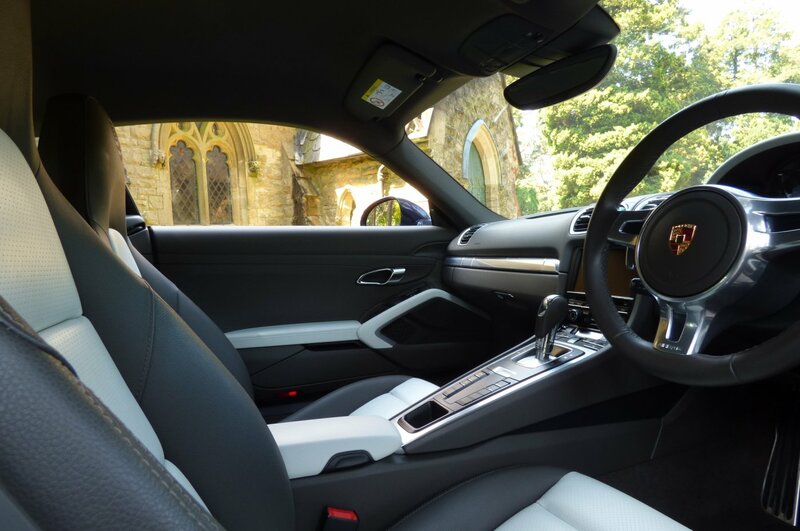 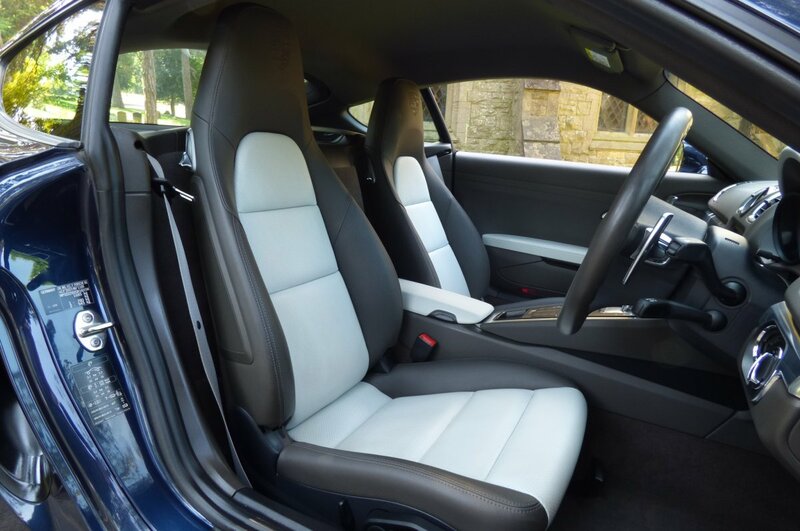 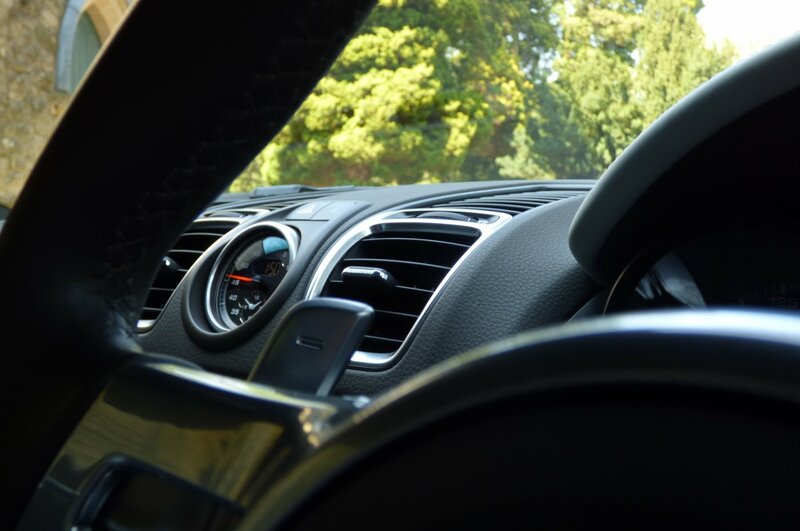 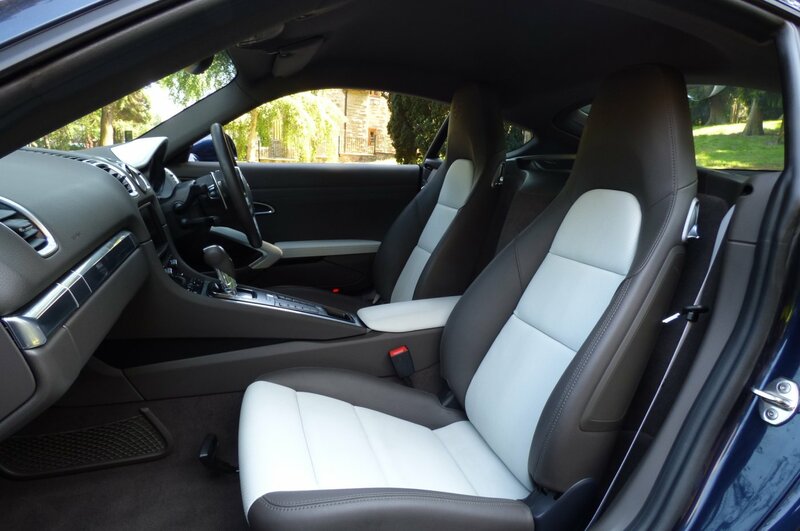 The Interior Is Stereotypically German On The Finish, With Only The Use Of The Finest Leather Hides And Polished Metals, Thus Creating An Environment Mixed With Excitement And Comfort. 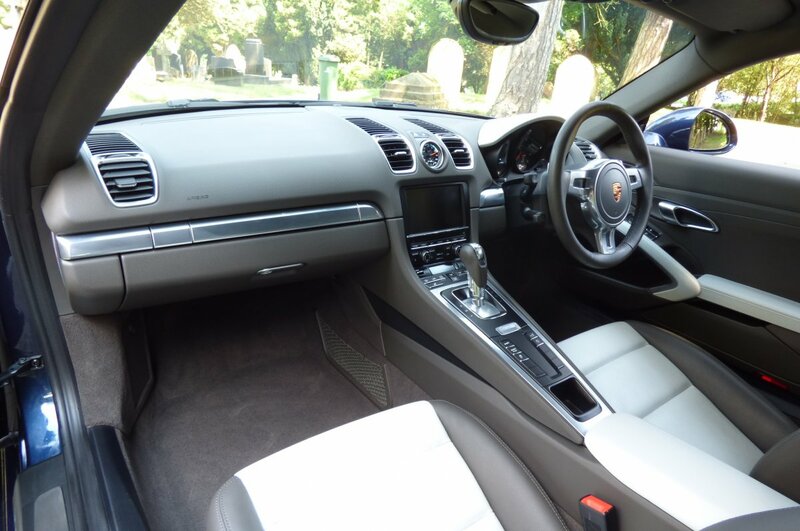 From Factory This Car Was Finished With Porsche Crested Two Tone Agate Grey & Pebble Grey Leather Sport Seating Beautifully Complemented With Agate Grey Twin Needle Stitch Detail, The Silver Seat Belts, The Agate Grey Leather Dash That Wraps Around This Inviting Cabin Space, Agate Grey Carpets That Have Been Protected With Porsche Embossed Over Mats, The Two Tone Leather Trimmed Drivers Centre Tunnel, The Grey Fabric Roof Lining, The Two Tone Agate Grey & Pebble Grey Leather Bound Door Cards, The Three Spoke Sport Design Steering Wheel With Paddle Shift And Presented With The Polished Aluminium Interior Inlays, That Finalise This Very Special Interior. 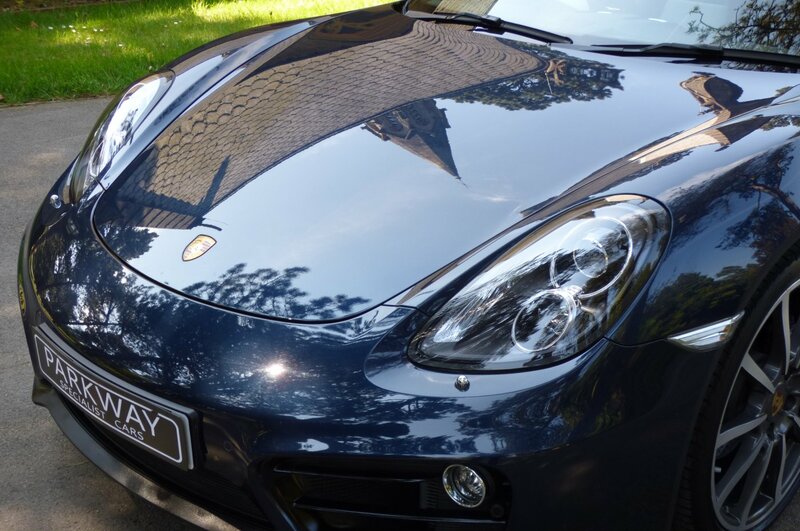 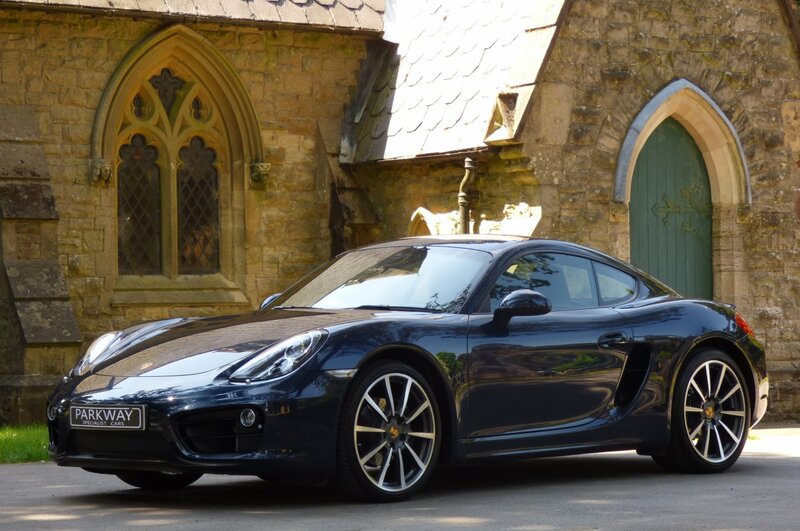 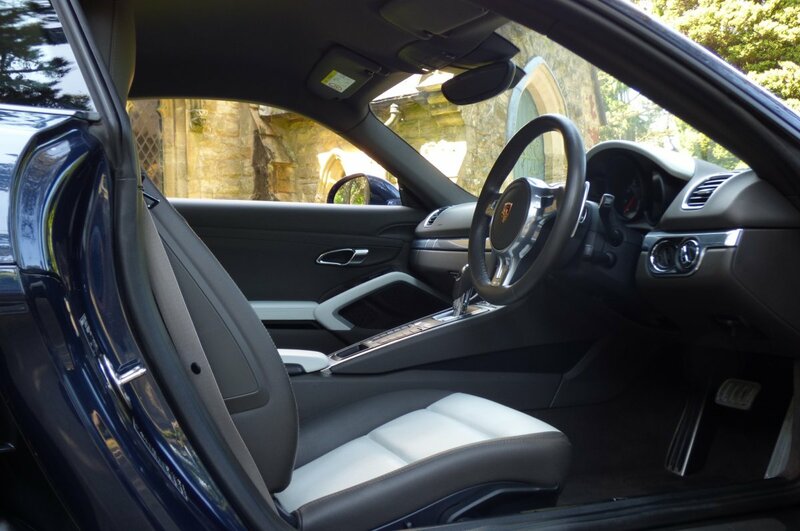 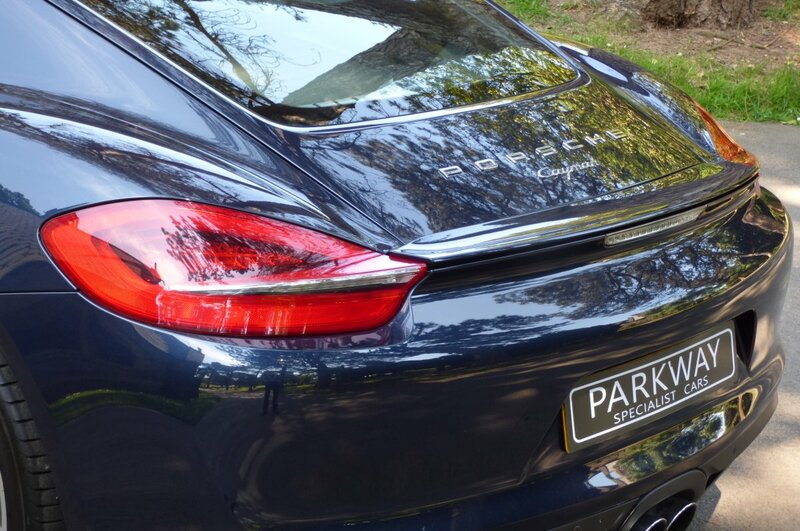 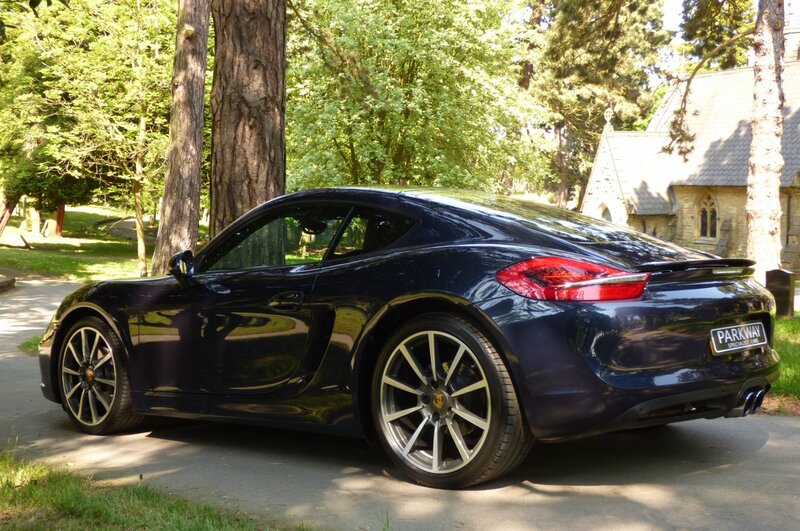 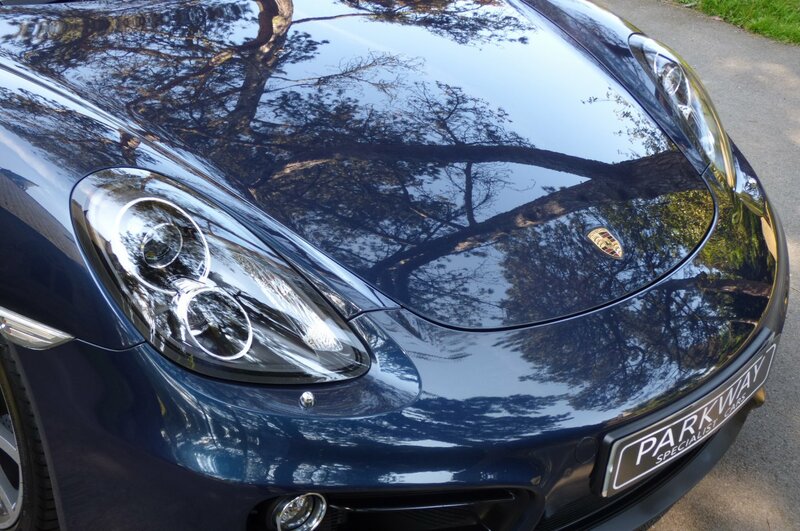 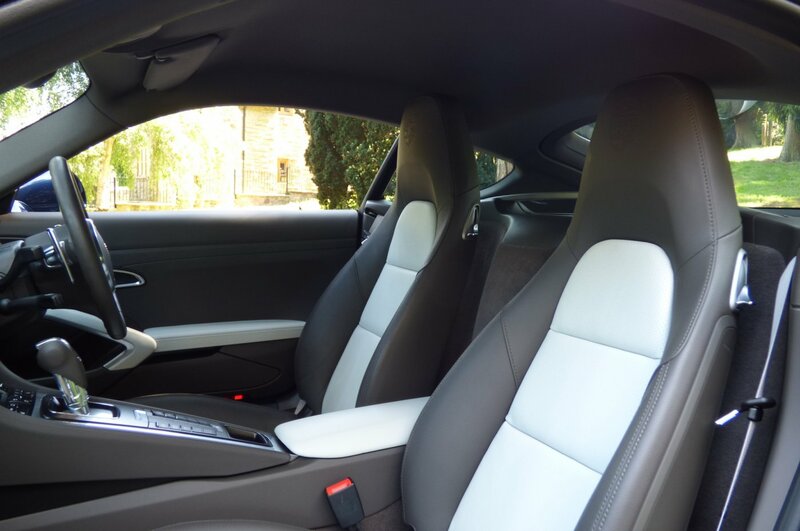 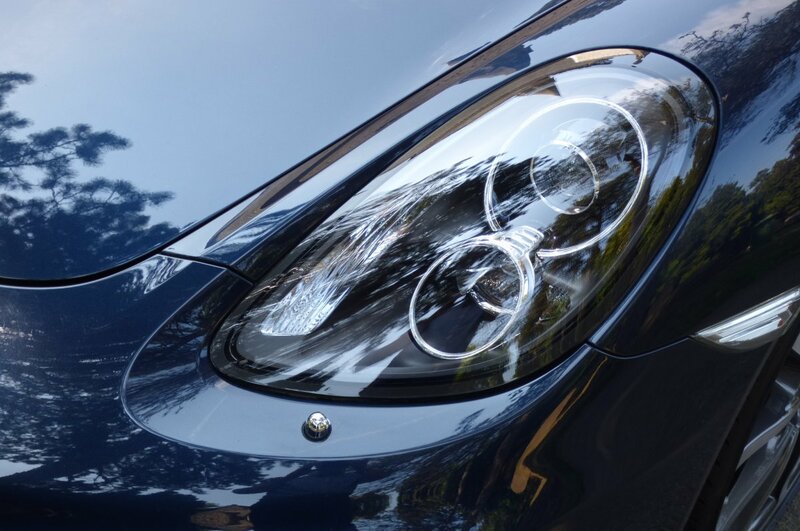 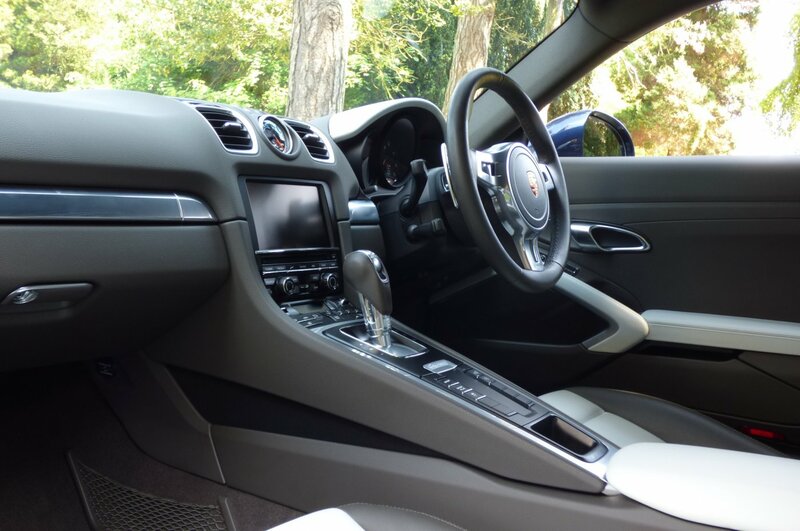 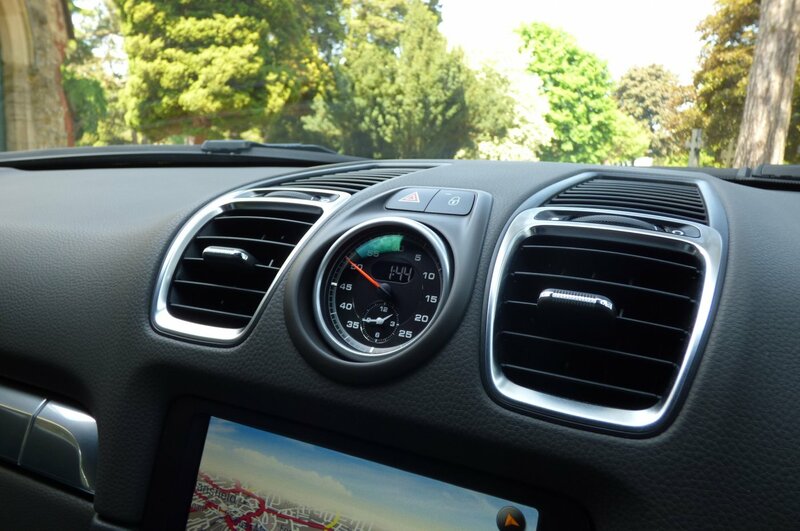 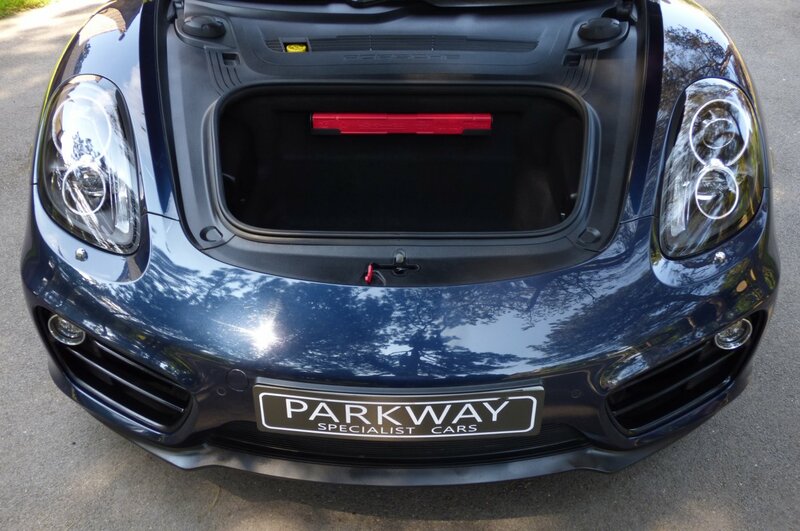 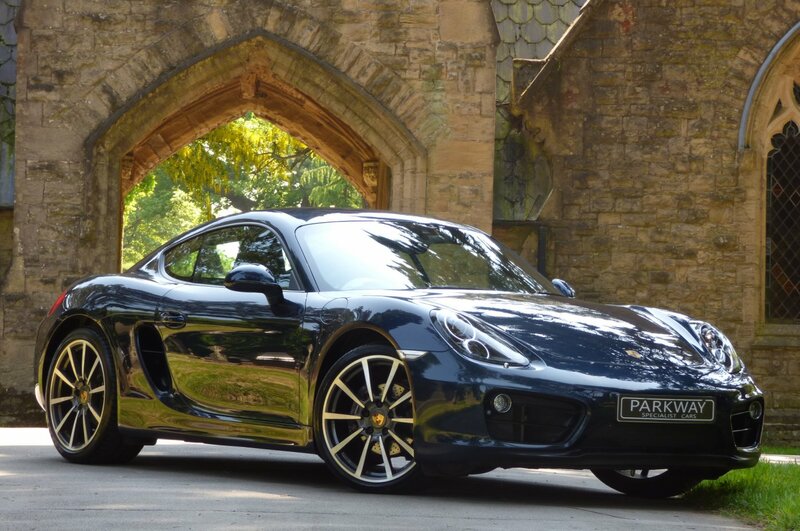 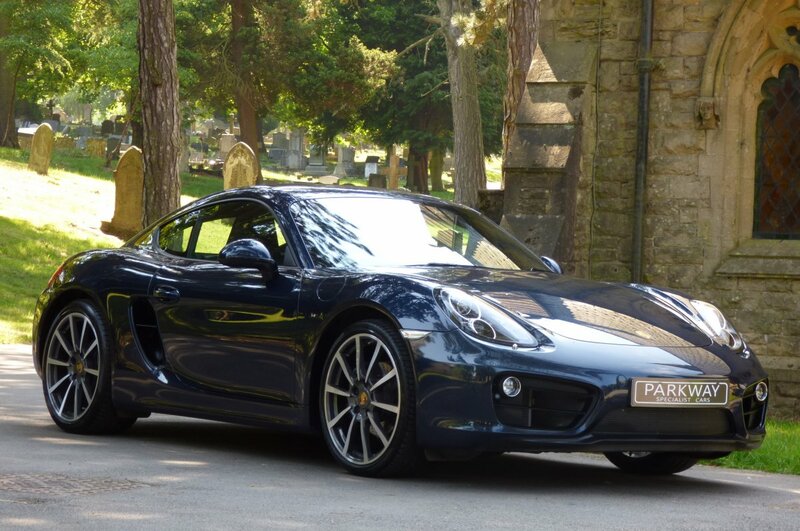 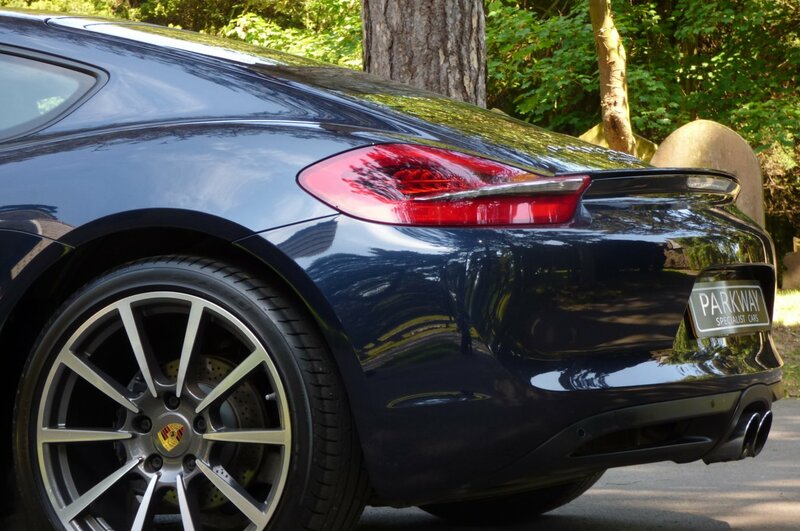 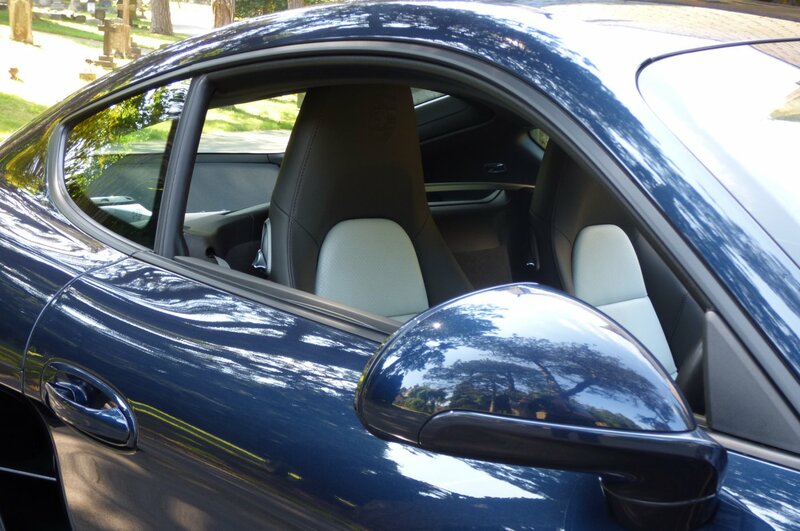 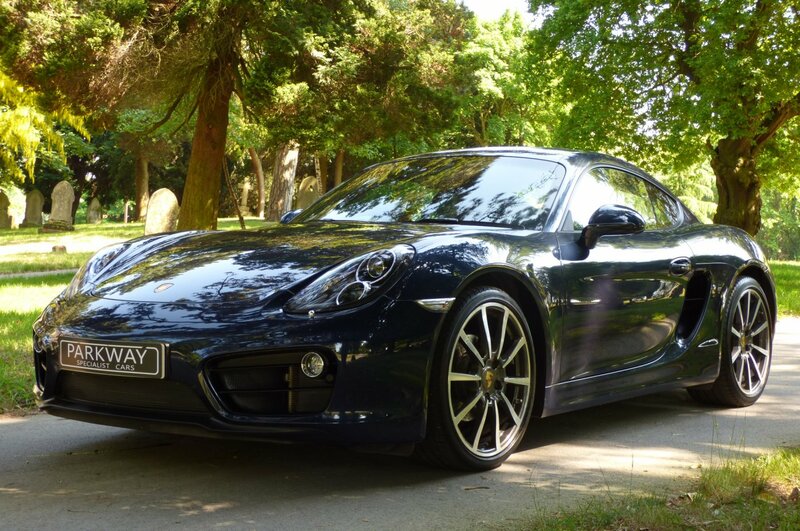 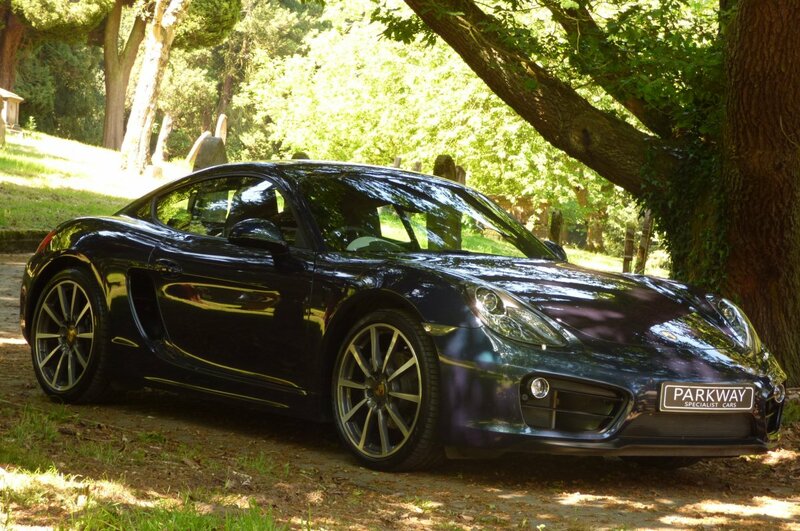 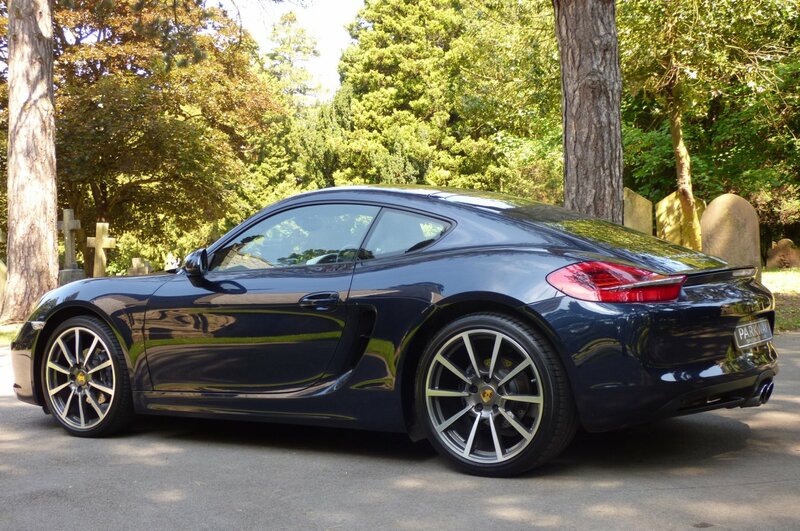 This Porsche Cayman Also Has An Excellent Level Of High End Factory Options, Meaning That Every Trip No Matter The Distance Is Perfectly Composed And Highly Enjoyable. 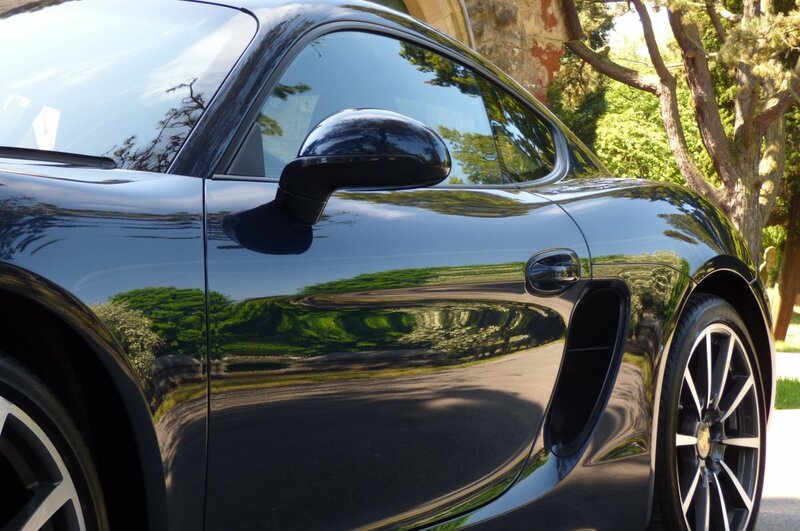 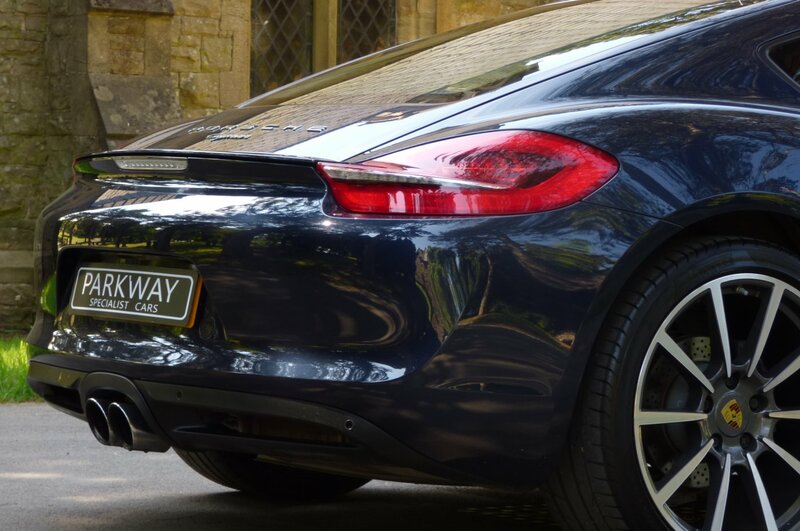 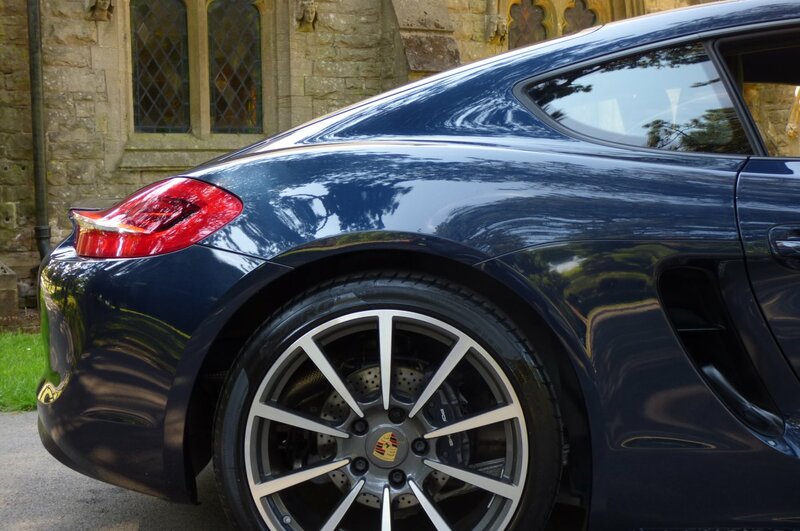 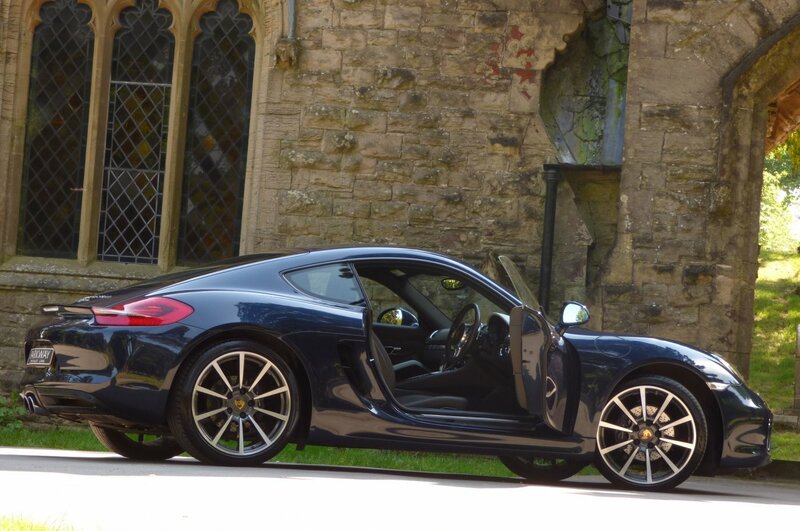 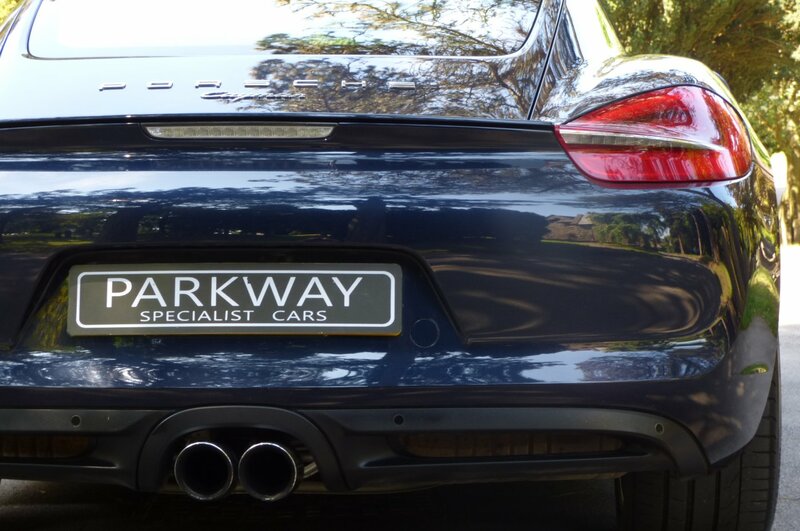 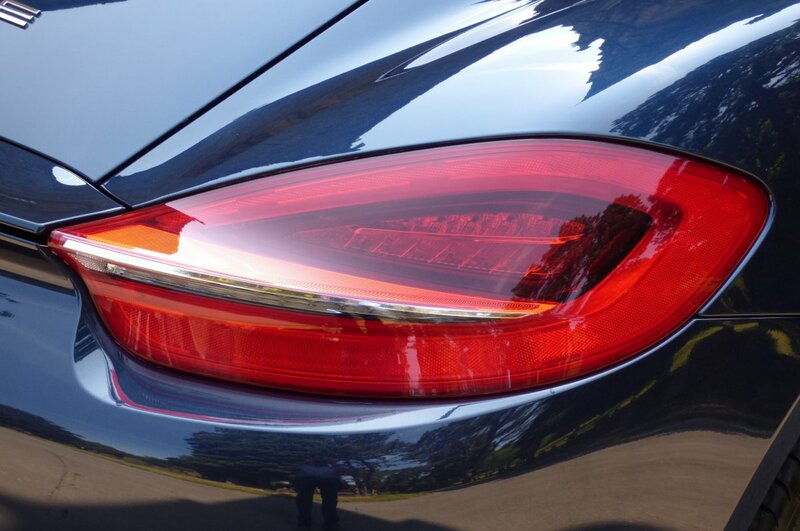 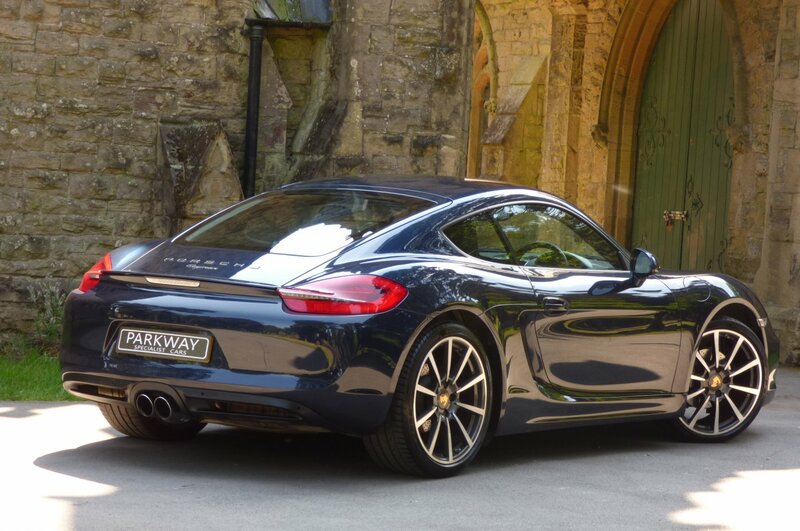 The Appearance Of The 981 Cayman Is Highly Distinctive, With The Dunkel Blue Metallic (LM5X) Further Demonstrating The Aggressive Curves And The Sublime Porsche Lines. 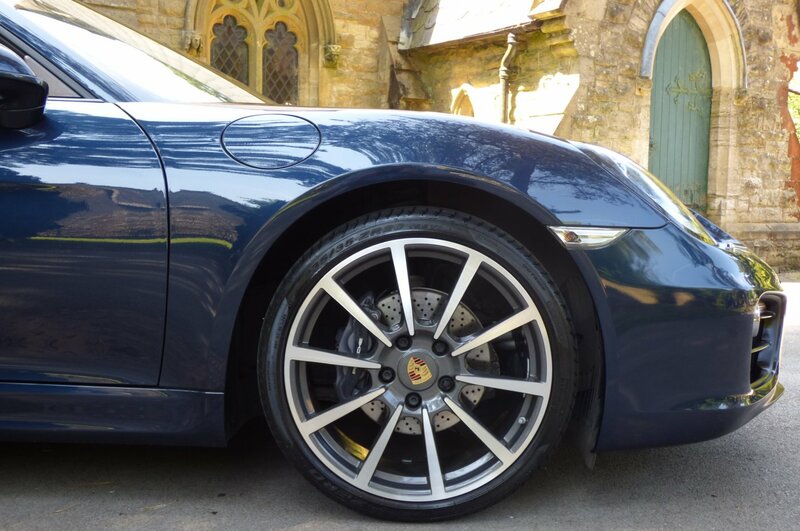 Further Factory Exterior Detailing Is Presented With The Unmarked Diamond Turned 20" Carrera Classic Multi Spoke Alloy Wheels Which All Sit On Branded Tyres, The Electrically Raising Rear Boot Lip Spoiler, The Blackened Side Air Vents, The Colour Coded Alloy Wheel Centre Cap Crests, The Dark Grey Porsche Embossed Brake Calipers, The Black Vented Front Grille, The Centred Twinned Chromed Exhaust Tips, Chromed Detailing To The Rear Light Clusters And Presented With The Infamous Porsche Motifs, That Finish This Dramatic Stance. 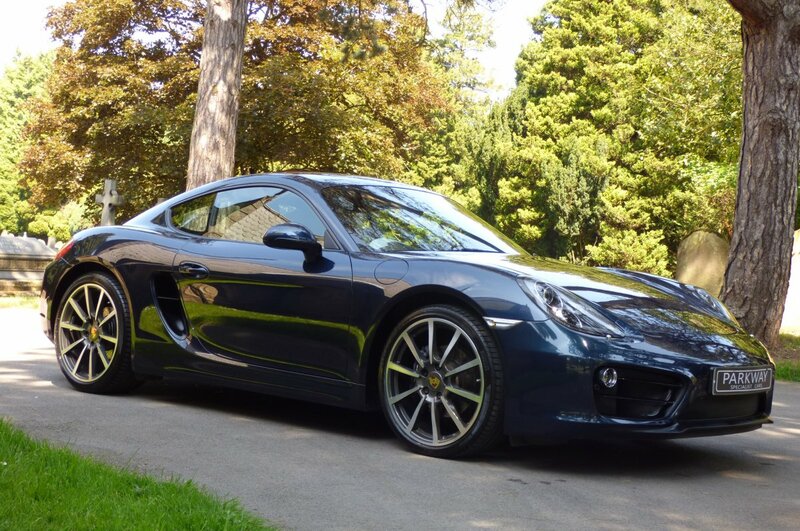  Offered In This Colour Confirmation, With These Perfect Expensive Factory Options, The Car Looks Remarkable From Every Angle And With The Miles Being So Low, The Condition Is Faultless. 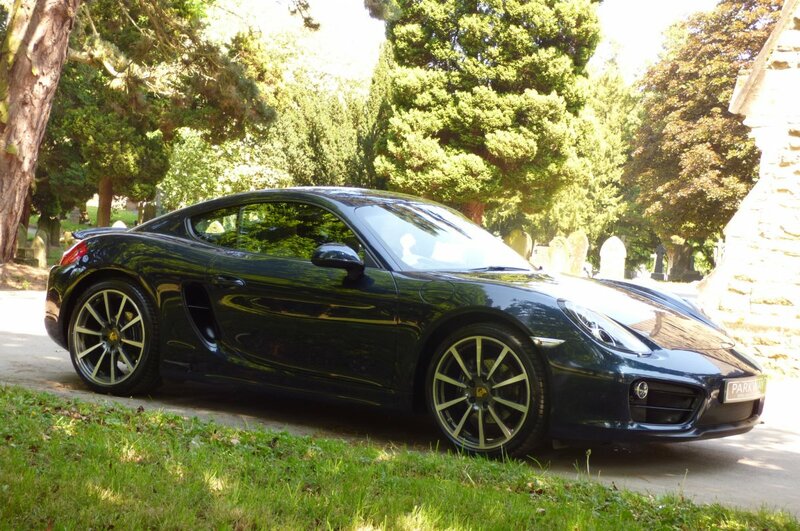 This Lovely One Private Keeper Car With Super Low Miles Also Comes With Excellent Factory Options To Include PCM With Satellite Navigation, Unmarked Diamond Turned 20" Carrera Classic Alloy Wheels, Front & Rear Porsche Park Distance Control, Dual Zone Climate Control, Variable Heated Seating, Cruise Control, Porsche Sound Package Plus, Mobile Phone Preparation, Porsche Dynamic Bi Xenon Headlights With High Beam & Porsche Wash Function, Sports Chrono Package, Sport Design Three Spoke Steering Wheel With Chromed Paddle Shifts, Chromed Twinned Sports Tail Pipes, Windscreen With Top Tint, Rain & Light Packs, Porsche Aluminium Pedals, Dark Grey Porsche Embossed Brake Calipers, Remote Central Locking With Alarm, Embossed Internal Sill Kick Plates, Sport & Sport + Functions, Stop/Start Function, Electric Rear Spoiler And So Much More. 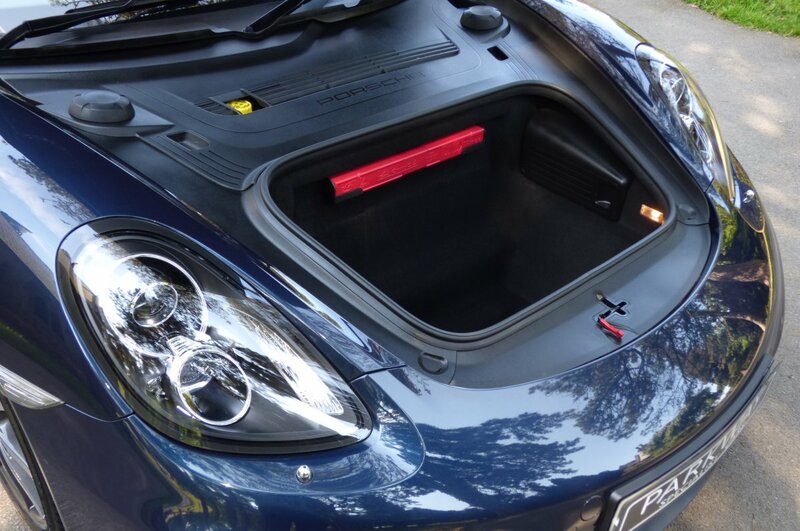 Offered With The Entire Booklet Pack Set, A Fully Cleared Hpi Report And A Fully Functional Key Set.